You have TWO WEEKS to play along - Deadline to enter is Friday, February 8 , 2018 at Midnight CST. The winners will be announced on the NND blog the following Monday. 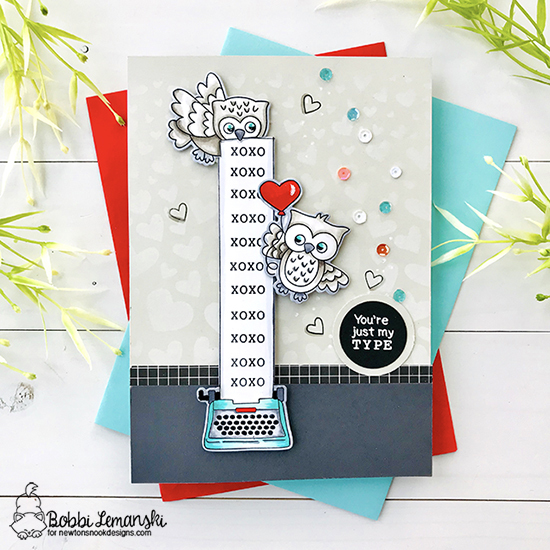 Bobbi Lemanski brings a smile with her very long XOXO typed paper using the newly released My Type stamp and die set. She adds the owl pulling on the paper and the other owl floating by with his balloon which are also from a new stamp and die set called Love Owl-ways. She places these critters on a gray background with the subtle white hearts from the Tumbling Hearts stencil. Debbie Owens designs a shimmery background using silver foil with the Waves stencil. Using one of the dies from the Framework die she cuts it out and adheres it to a pink distressed background cut using the Frames & Flags die set. 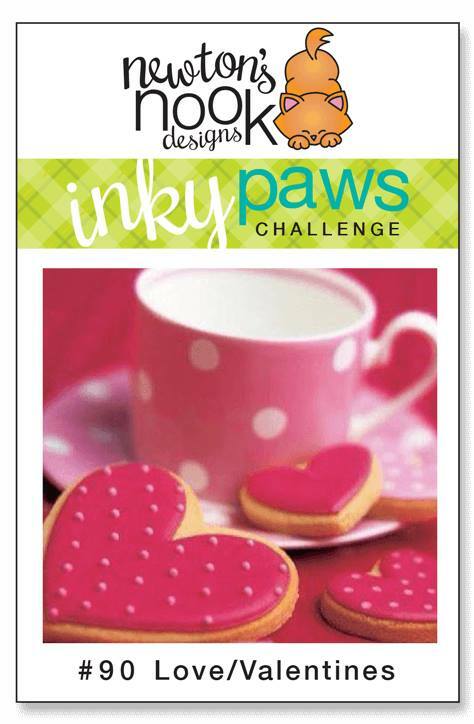 She adds a distressed pink heart using the Darling Hearts die set and adds a sentiment from the Love Owl-ways stamp set. The stars of the card is the sweet feline couple enjoying a bottle of milk from the Newton's Sweetheart stamp set. Diane Morales designs these mini treat holders which are quick and perfect if you need to make a lot for a classroom. She creates the base using the center banner of the Frame & Flags die set. She cuts hearts using the Darling Hearts die set from pastel pattern papers. Using the Bitty Bunnies stamp set, she adds the sentiment and bunnies! 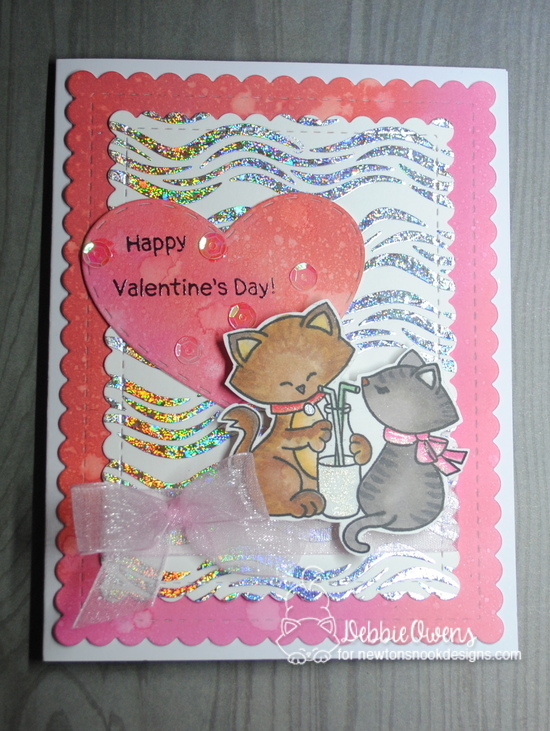 Sue T. demonstrates how to use nontraditional Valentine's stamps to make this darling card! She creates her backdrop by using the Framework die set. She cuts a circle window where she has added fir trees using the Evergreens stencil. She adds red hearts using a heart from the Newton Dreams of Paris stamp set throughout the trees. 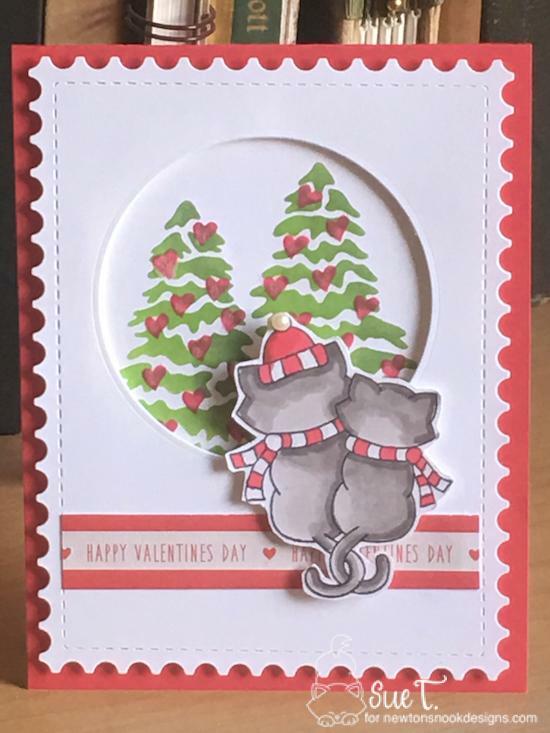 Looking at the festive trees is a feline couple from the Newton's Christmas Cuddles stamp set. Becky Noelle brings us a tropical Valentine's card by using a clear card base in which she adds those gorgeous pink leaves using the Tropical Leaves stencil. 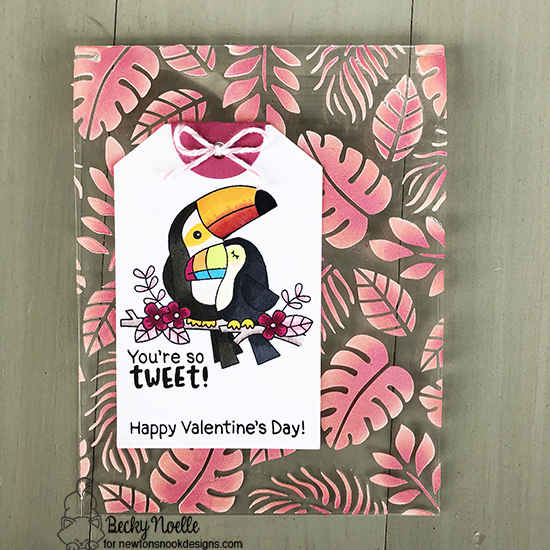 She then adds the romantic toucan couple and sentiment from the Toucan Party stamp set on a tag cut with the Fancy Edges Tag die set. 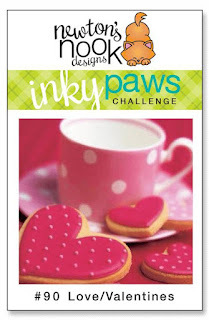 Her final touch is to add the Happy Valentine's Day sentiment using the Love Bites stamp set.